The playland at the rink has become one of the greatest attractions at Skateland, apart from skating of course. Kids can spend hours exploring, climbing, swinging, and bouncing in the Playland at Skateland. Kids under 10 years old get free play in the playland with a paid admission for skating! 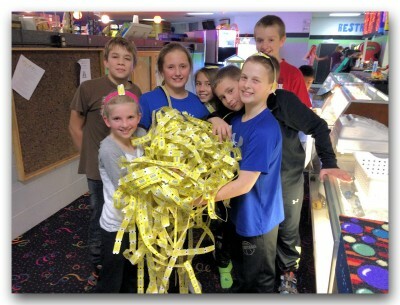 Skateland offers a multitude of ticket redemption games. From old school Skee-Ball to more modern crane games, you get to earn tickets to spend at the Stuff Shop! Test your skill, or go for the big prizes in our assortment of arcade games or skill based games for your enjoyment!